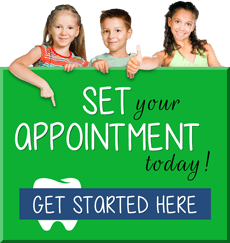 We love kids and we understand what they need to feel comfortable in a dental office. Our environment was designed specifically for children, with open bays as well as a private treatment area. We also have accessible games, toys and books. In addition, we treat kids with respect and explain every step of their dental care in age-appropriate, child-friendly terms. It is our goal that your child develops and maintains a positive association with dental care, and we do everything we can to create a pleasant, supportive and fun environment for them and you. We help parents understand and address their family's dental health care needs. We invite you to be present during your child's exam so that we can better plan for his or her dental care. We encourage your active involvement in their initial appointments, and during these visits, we promise to explain everything to you in terms that you will understand. Ultimately, we want you to be very comfortable and satisfied with our collective decisions for your child. Our goal is to provide optimum dental care for infants, children and adolescents with special health care needs. 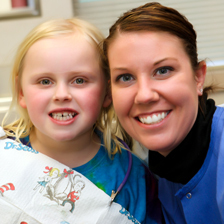 We are committed to being leaders in our community and representing the special oral health care interests of children. In support of guidelines by the American Association of Pediatric Dentistry (AAPD) and the American Association of Pediatrics (AAP), we recommend that all children establish a dental home by the age of one year. We encourage you to consider Toothworks Pediatric Dentistry as the dental home for your child.